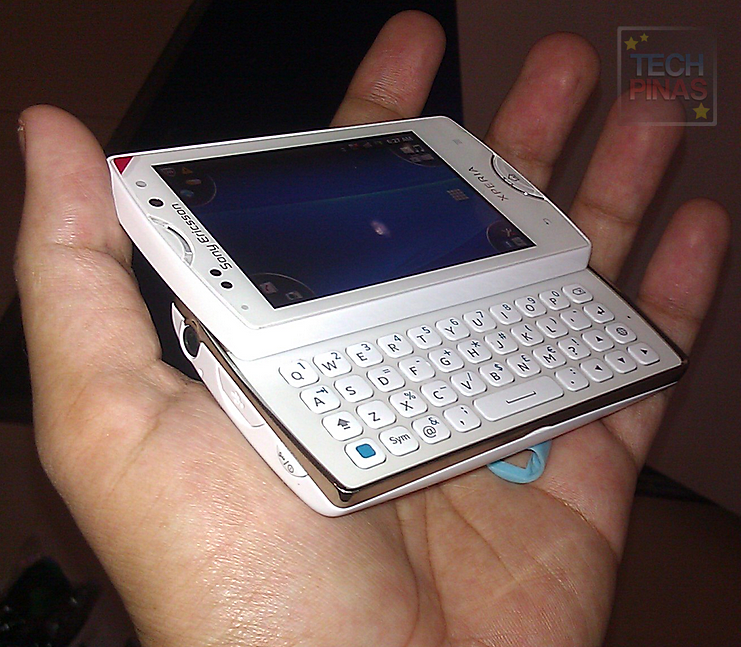 Sony Ericsson Xperia Mini Pro Price Philippines, Specs, Quick Review! Just a Philippine price update for one of the smallest smartphones to don both a high-definition video camera and a full QWERTY slide-out keyboard. Currently priced at only Php 11,700 in malls, Sony Ericsson Xperia Mini Pro is easily one of the most sulit (offers great value for money) Android phones that you can get these days. It runs Android 2.3 Gingerbread with its 1 GHz processor and 512 MB of RAM and comes replete with a 3-inch LED back-lit screen, a 5 MegaPixel autofocus camera, 720p HD video recorder, Wifi-Bluetooth-3G connectivity options, and a full QWERTY slide-out keyboard making it an ideal phone for both left-brained 'touchers' and right-brained 'typers'. 1. It's easily one of the most solid phones I've held. One would imagine that having a slide mechanism would make the phone feel clunky, but it's not. On the contrary, it has a very durable feel to it. 2. The keyboard is a joy to use. There's generous space between the island-style keys making it borderline impossible to accidentally press two keys at the same time while typing. 3. Sony Ericsson's Four-Corners skin for Android makes the OS easier to navigate. 4. I think it's nice that SE bothered to put Bravia Engine on a midrange handset like Xperia Mini Pro. Bravia Engine is a display technology that automatically enhances the quality of photos and videos as we view them. 5. Xperia Mini Pro may be small don't make the mistake of underestimating what it's capable of delivering. This phone runs on a 1 GHz Scorpion processor, Adreno 205 GPU, Qualcomm MSM8255 Snapdragon chip and 512 MB of RAM! That's almost the same as what powers its more expensive brother, Sony Ericsson Xperia Neo. 6. One downside is the short battery life. Then again, that's a common problem with a number of Android phones out in the market. 7. 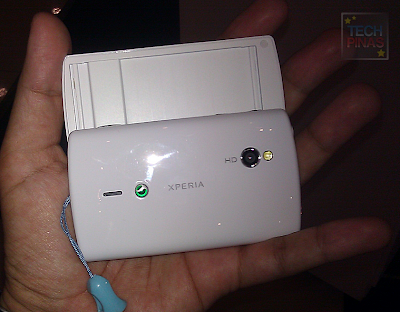 Xperia Mini Pro may have the look of a business phone but it also has multimedia features that will have you drooling. Small as it is, it flaunts a 5 MegaPixel autofocus camera with LED flash and a high-definition 720p video recorder! 8. Sony Ericsson's TimeScape, which you can also find in the a lot more expensive Sony Ericsson Xperia Arc, could very well be the sleekest social hub for the Android platform currently. It's something you have to experience to appreciate.